In the mid 19th century leprosy (also known as Hansen’s disease) was spreading on the west coast of Norway. The growing number of patients made the government put more money into research. Dr. Gerhard Armauer Hansen was leading much of this research. The disease was named after him as he was the first to identify the leprae bacterium. I the autumn of 1884 the French dermatologist Henri Leloir visited Bergen to document the state of leprosy in Norway. In addition to written reports, he used photography to document some of the patients. Back in Paris he published his exclusive monograph “Traité practique e Théorique de la lépre”. 11 of the Norwegian patients he met in Bergen are represented with photos in his book (the photos can be seen from page 345). The common way to represent examples of disease at the time was engravings made from paintings. An example of this when it comes to leprosy, is the Norwegian book “Om Spedalskhed” (On Leprosy) by Daniel C. Danielssen and Wilhelm Boeck, published in 1847. Several of the engravings from this book can be seen in the excellent The Sick Rose – Disease and the Art of Medical Illustration by Richard Barnett. We must assume that Leloir’s modern documenting methods impressed Armauer Hansen, for just after Leloir had left Bergen, Hansen wasted no time to get new photos taken of the same patients. The poses, light and distance to the camera was exactly the same as Leloir had used. As far as we know it was the Norwegian photographer Marcus Selmer who took the new photos (Sandmo 2006). 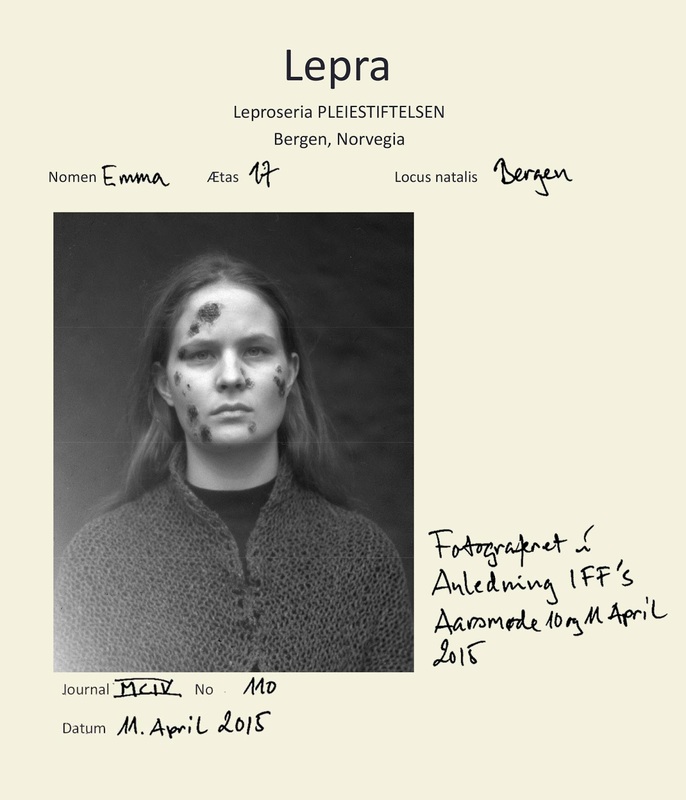 We think that this is one of the first attempts to standardize the photography of a medical condition in Norway. 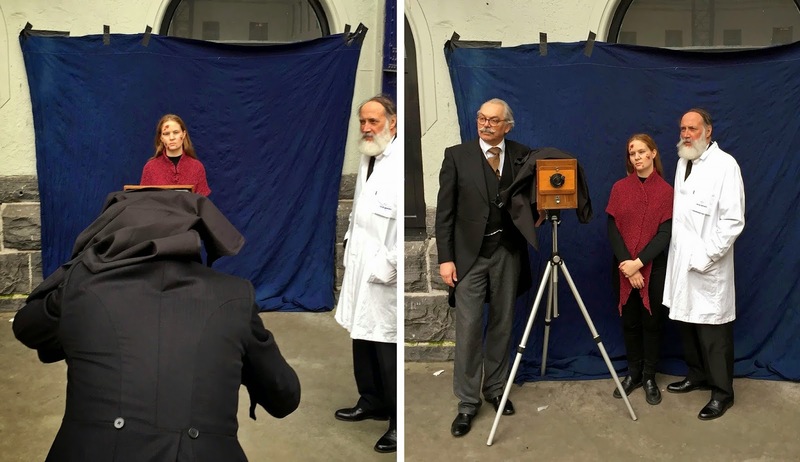 And on April 11 in Bergen, Bård Kjersem, photographer with the Department of Ophthalmology at Haukeland University Hospital, reenacted this using a wooden 4×5 inch camera, a model made up as a lepra patient and a colleague, with a beard as impressive as Armauer Hansen’s, standing in as him. The resulting photo can be seen below, fixed to an authentic journal note from the 1880s. Photo and montage: Bård Kjersem © 2015. Used with kind permission. Sandmo, S. Portraits of disease: Leprosy in Norway and the invention of photography. In: Nedrebø Y, ed. Leprosy. Førde: Selja Forlag; 2006:51-64. You are currently reading Early medical photography reenacted at The Sterile Eye.